Encore Metals will provide superior service and the highest quality products to our customers while maintaining a safe work environment for all employees, contractors and visitors. 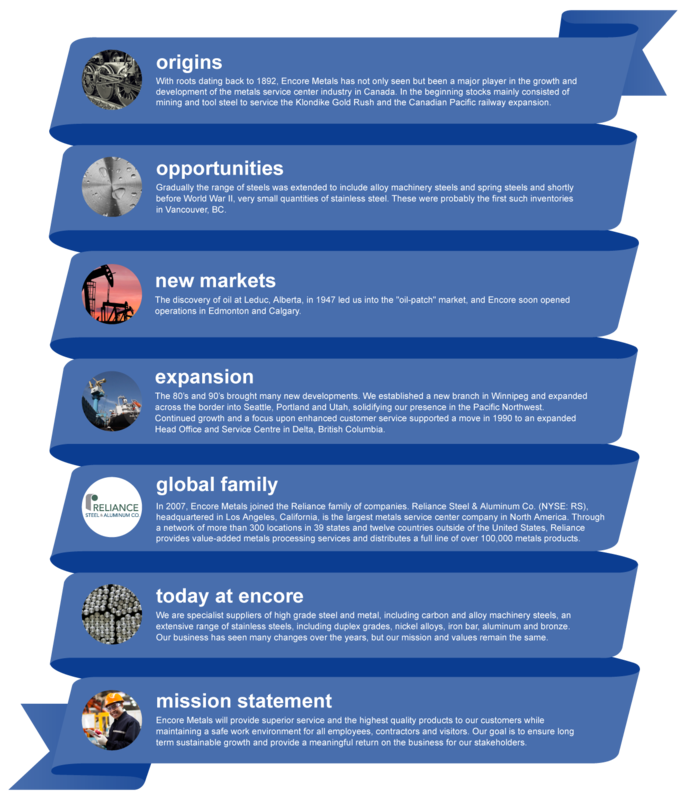 Our goal is to ensure long term sustainable growth and provide a meaningful return on the business for our stakeholders. 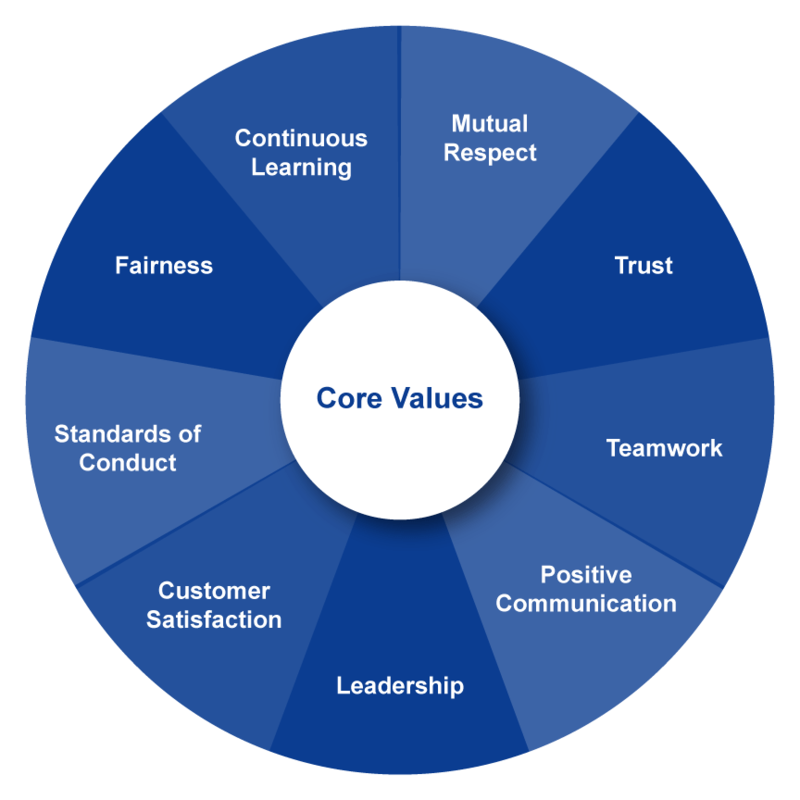 Encore Metals Core Values are intended to provide employees with increased insight and a foundation to link their position to the standards and attitudes that we, as a group, wish to represent.